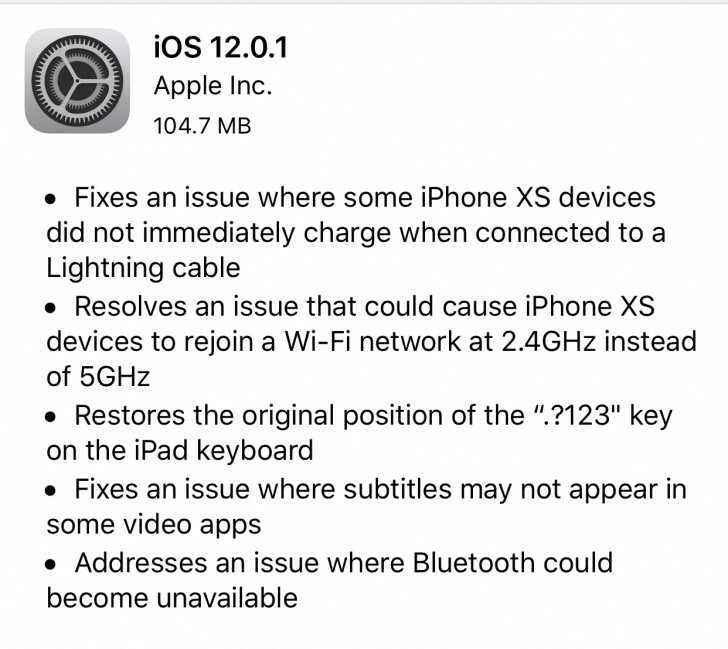 Apple has released iOS 12.0.1, which fixes one of the issues users had reported. It fixes the problem where connecting the charger cable to the iPhone XS would occasionally not start the charging until the display was turned on. Apart from that, the update also fixes a couple of other issues, including a Wi-Fi issue where the iPhone XS would apparently connect to 2.4GHz instead of 5GHz band when rejoining. The position of the . ?123 key has also been switched back in this update on the iPad. iOS 12 swapped the position of the . ?123 key and the emoji/language key, which annoyed some users and this update swaps it back. Apart from that, there are also fixes to subtitles not appearing in some video apps and Bluetooth unavailability issue. The update is only around 100MB and is now available to download on all compatible devices.